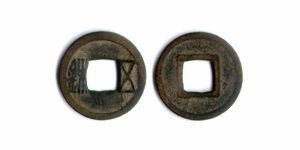 Obverse: Flan flaw at 4h. 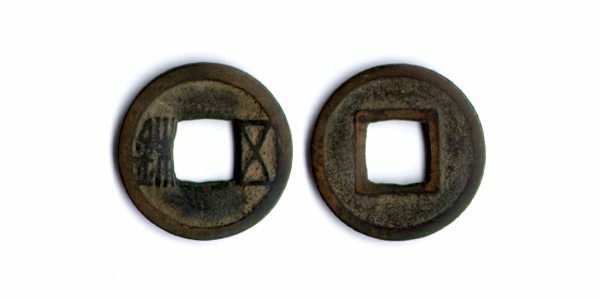 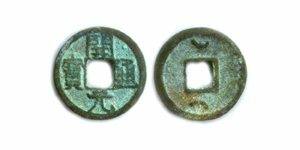 Reverse: Traces of sign (Yen?) 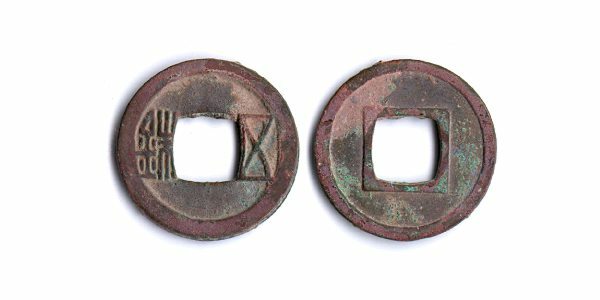 under hole; this may be Schjoth 364. 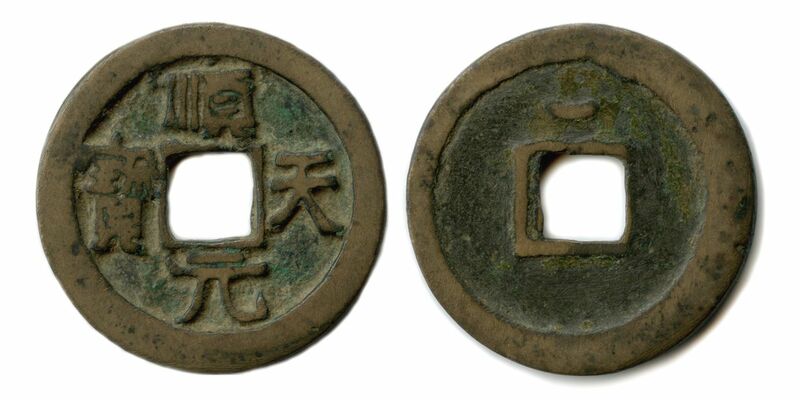 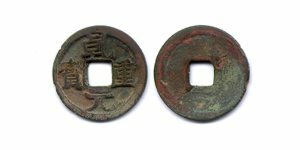 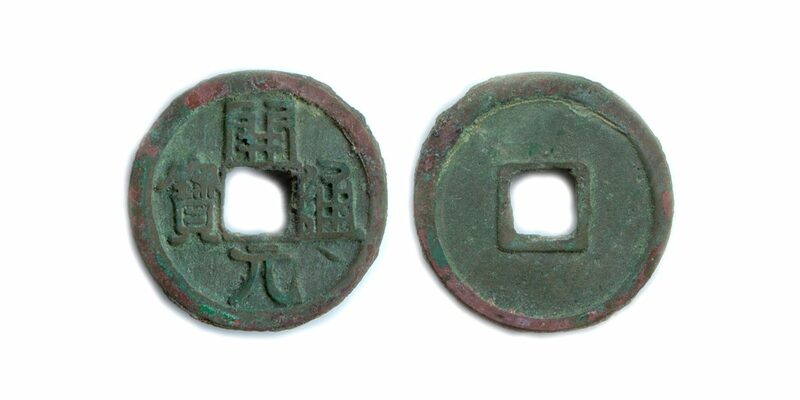 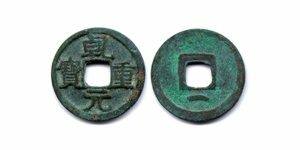 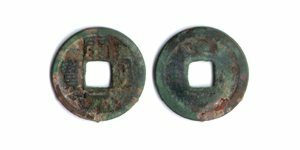 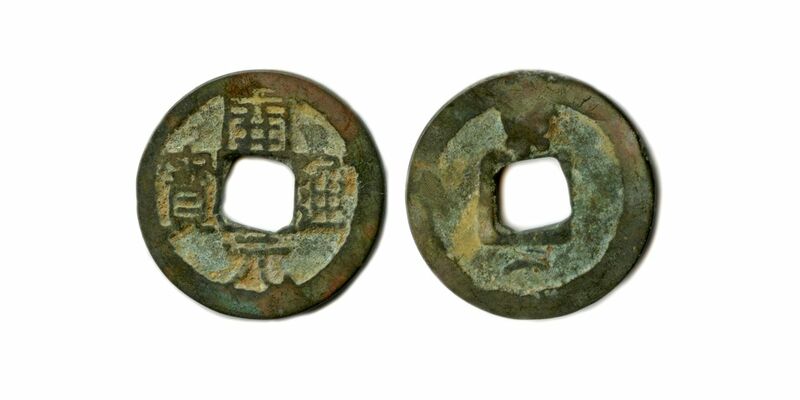 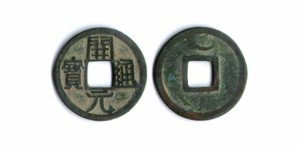 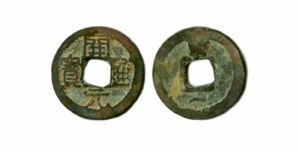 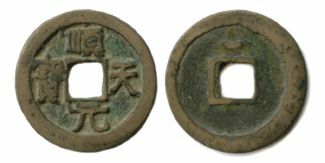 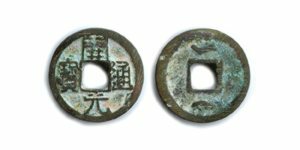 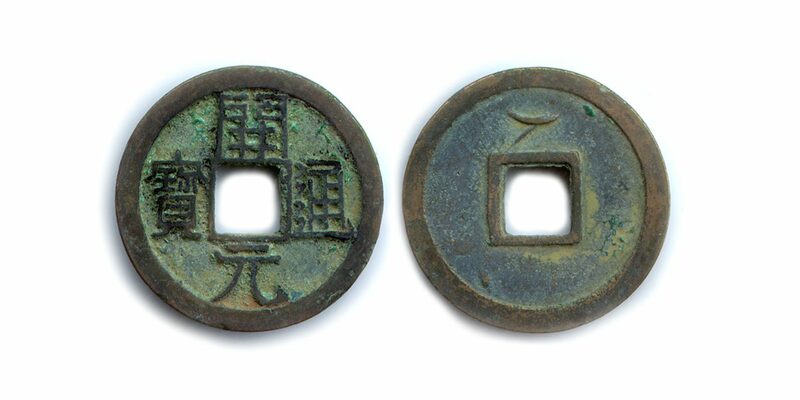 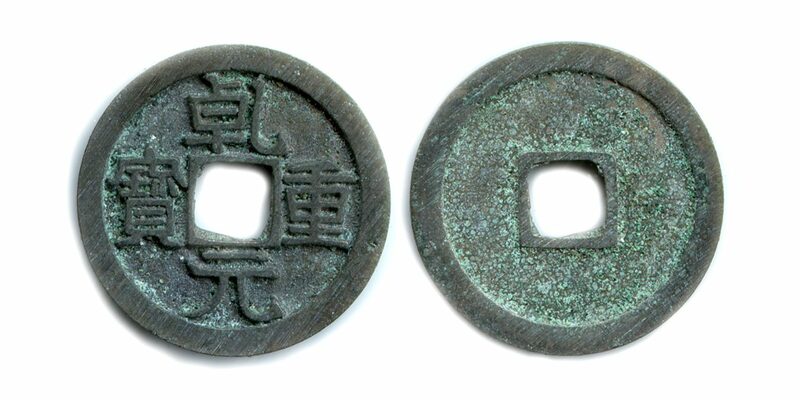 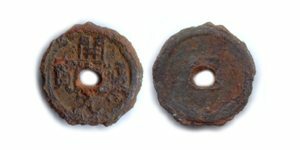 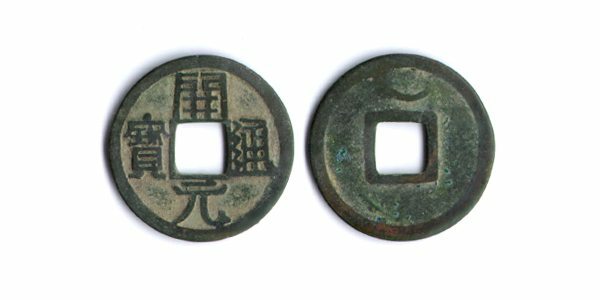 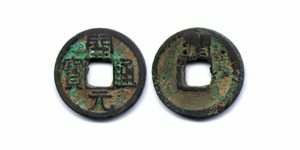 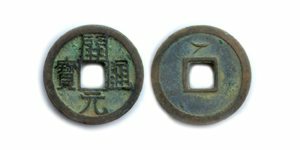 Reverse: 'Lo' for Lo yang in Honan. 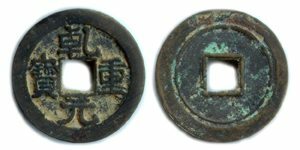 Reverse: 'Jun' (?) for Chinkiang in Kiangsu.